When it comes to the Netflix and Marvel partnership which is seeing at least two seasons a year drop onto Netflix we’re still quite early on in the process. With 2016 rounded out with the first season of Luke Cage, we thought we’d take a look back so far and rank all of the seasons we’ve had so far including those from Daredevil, Jessica Jones and Luke Cage. There’s a lot of Marvel series content on the way and we’ll no doubt give this article an update as soon as we get the first seasons of Iron Fist, The Punisher and The Defenders in 2016 and beyond. Obviously it should be stated that this is purely personal opinion and we invite yours down the comment section below. I should really start off by saying that there really hasn’t been a bad series yet in any of the Marvel series as they’re all produced with such great care and quality. For me, I had to rank Luke Cage last just because the subject matter just wasn’t as intriguing to me. Whereas each season of the other shows had great villains which often stood out more so than the actual hero, Luke Cage’s villain was someone that you’ve seen on every series that has corruption has a theme. With that said, the ambiance of the New York that Luke Cage focusses on is extremely well done down to the intricate little details. We also see our returning nurse, Claire Temple, appear and a back story that’s actually worth telling. Luke Cage has come a long way from his days in the comic books. The series that kicked off the whole venture between Netflix and Marvel and he’ll forever be known as the first Defender. Telling the backstory of Daredevil was a fun experience to watch and while they often got bogged down in Karen Page’s story which seemed to drag on, well-orchestrated fight scenes (which becomes a staple for Daredevil series) and a compelling villain in the form of Wilson Fisk kept me coming back for more. The first season of Jessica Jones was fantastic but I’m skeptical moving forward. Why? David Tennant. The man who once played Doctor Who completely went above and beyond in the first season of Jessica Jones and was pretty much the sole reason for me sticking through the first season of Jessica Jones. How strong is she going forward on her own? I remain to be convinced. This series has also ranked higher because it successfully integrated two of the Defenders so far and that’s something we’re going to be seeing more and more as time progresses. It was done without a hitch and without Luke Cage’s backstory but ultimately that didn’t matter. Daredevil season 2 kicked off in March 2016 and was literally action packed and full of outstanding fight scenes including one of the longest in television history and maybe even the best. It also brought back Wilson Fisk, really started to develop the plot for The Defenders going forward and introduced us to The Punisher that fans loved so much it was decided that he’ll get his own show. It was the first season of a Marvel show that packed so much in so quickly that you have to watch it back again and with each watch, more unveils. 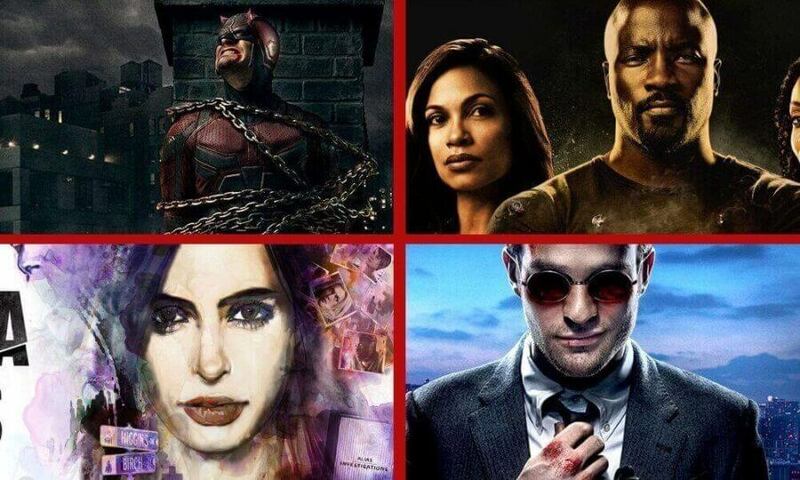 It’s simply the best series Marvel has made for Netflix yet and we can’t wait to see where we go next. Next story Is Sleepy Hollow on Netflix?